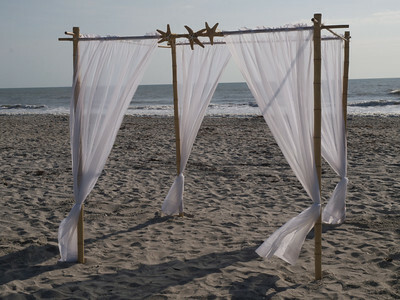 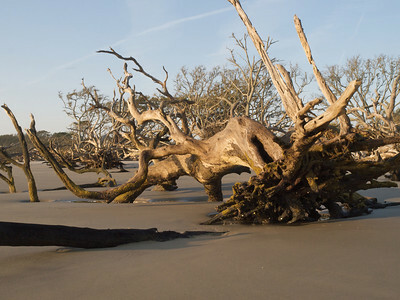 Driftwood Beach, Jekyll Island. 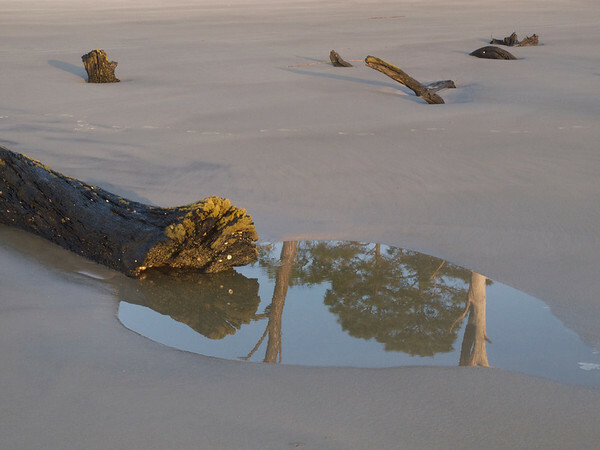 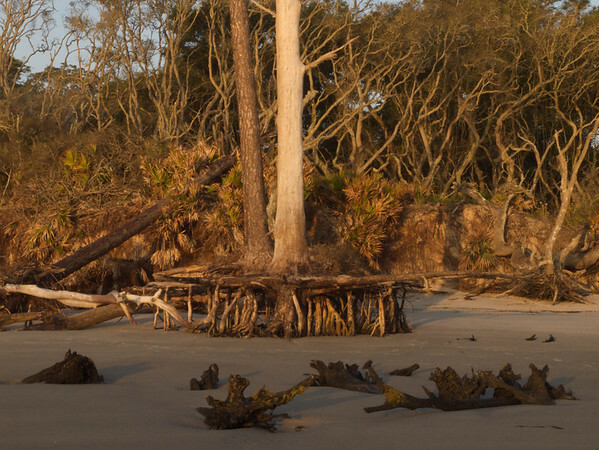 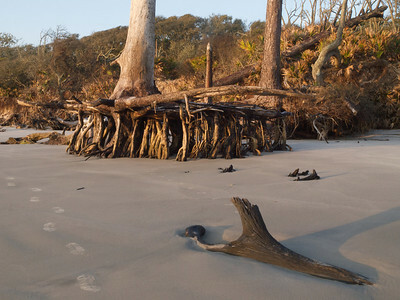 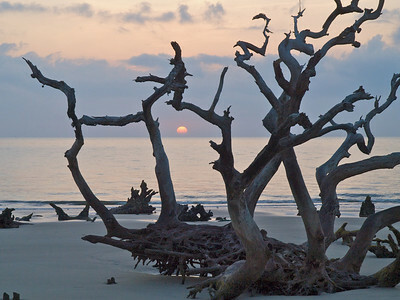 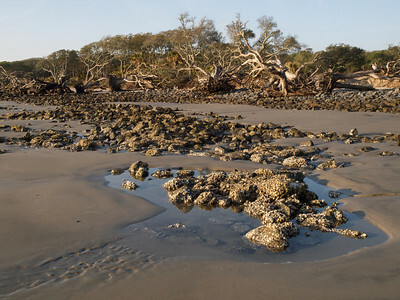 On the north end of Jekyll Island, Driftwood Beach illustrates the effects of tidal erosion, as sands from the north end are later deposited on the island's south end. 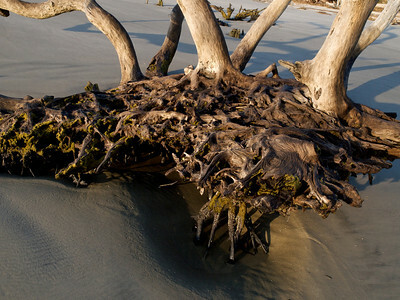 Tides slowly, endlessly, chew away at the dunes, pulling the soil from tree roots, leaving standing and fallen victims of the wooded marshlands. 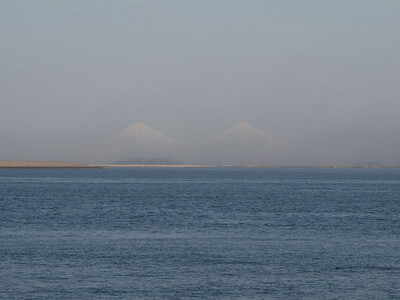 Sidney Lanier Bridge in fog, connecting Jekyll Island to the mainland. 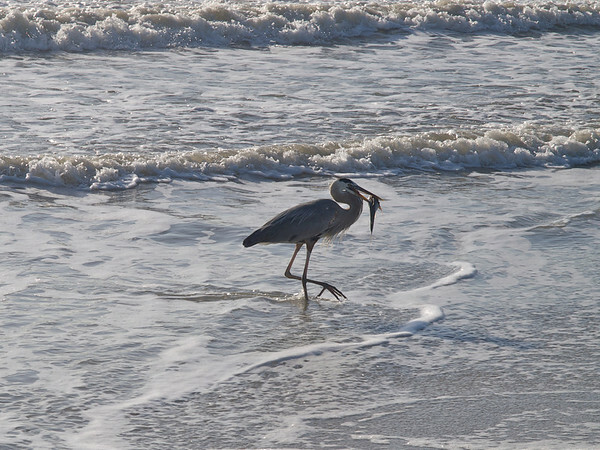 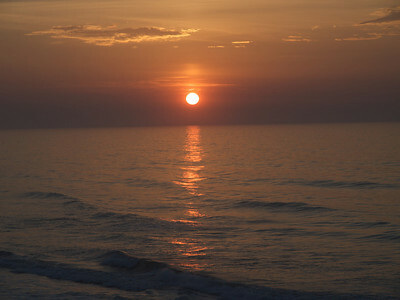 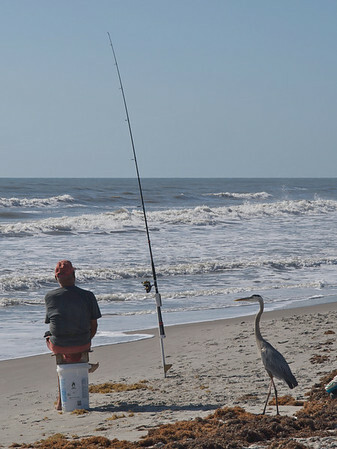 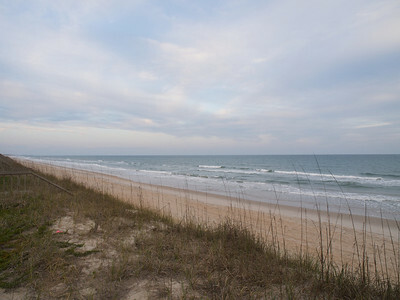 Topsail Island, North Carolina. 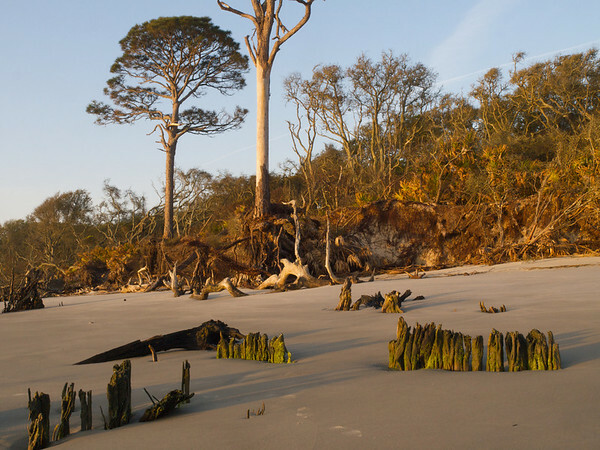 Local folklore claims the name, Topsail (pronounced Tops’l), originated during the 1700’s when pirate ships roamed the coastal waters. 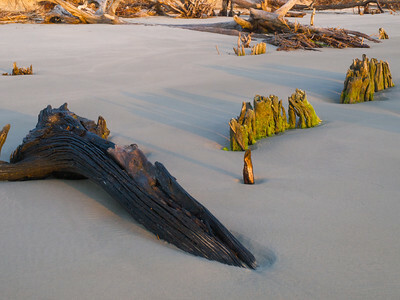 Marauding pirates hid their ships in the channel behind the narrow barrier island and waited for passing ocean merchant ships. 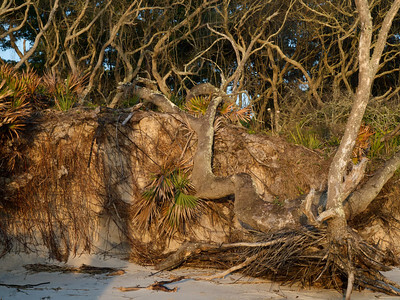 Eventually the merchants became aware of this infamous hiding place and began to watch for the tops of the pirates' sails, "top sail," showing over the rolling dunes - hence the name Topsail Island. 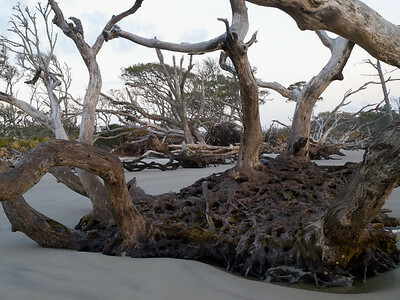 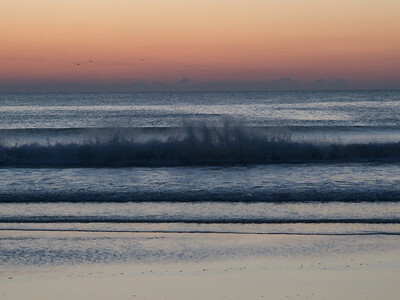 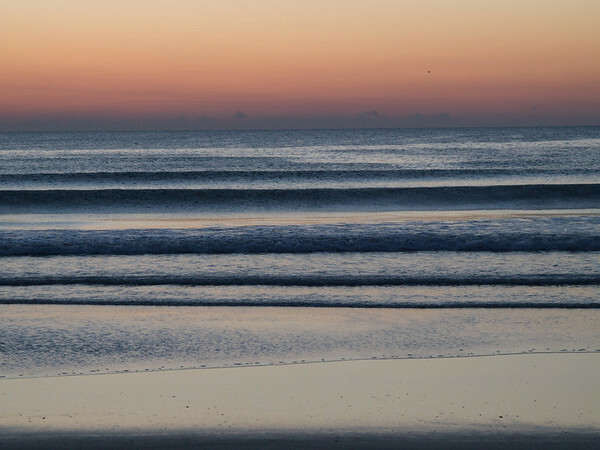 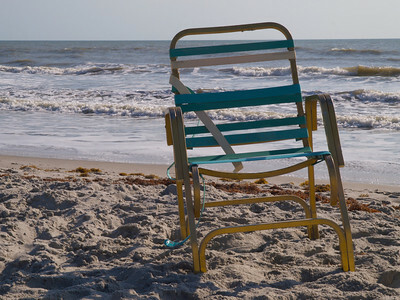 (from "About Topsail Island"). 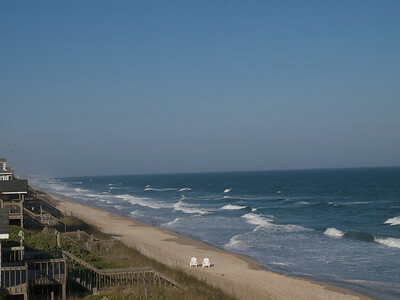 Topsail Island, North Carolina, from our deck. 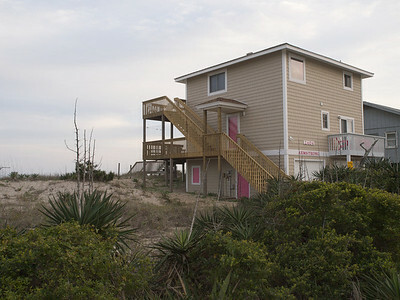 Armstrong 2404, our home for a week onTopsail Island, North Carolina.